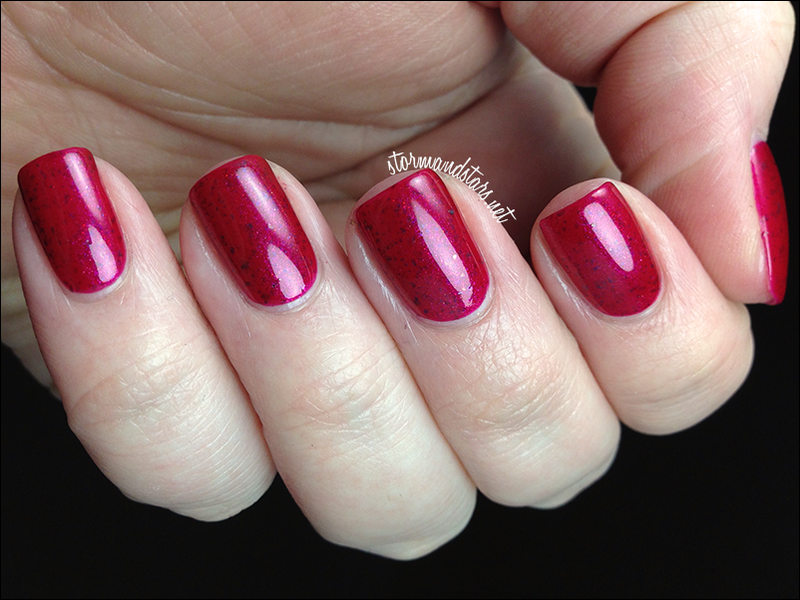 As a bonus extra to go along with the Moulin Rouge collection, Rachel from Cinema Swatch Lacquers also sent me her Satine Duo. This mini duo is available in limited quantities in mini bottles only, and let me show you how worth it, they are! This duo is inspired by the two options Satine talks about for her first meeting with the Duke and they represent the two sides so perfectly. I absolutely love this duo and I hope you will too! Lets get started. First of the two is Frightened Bunny. 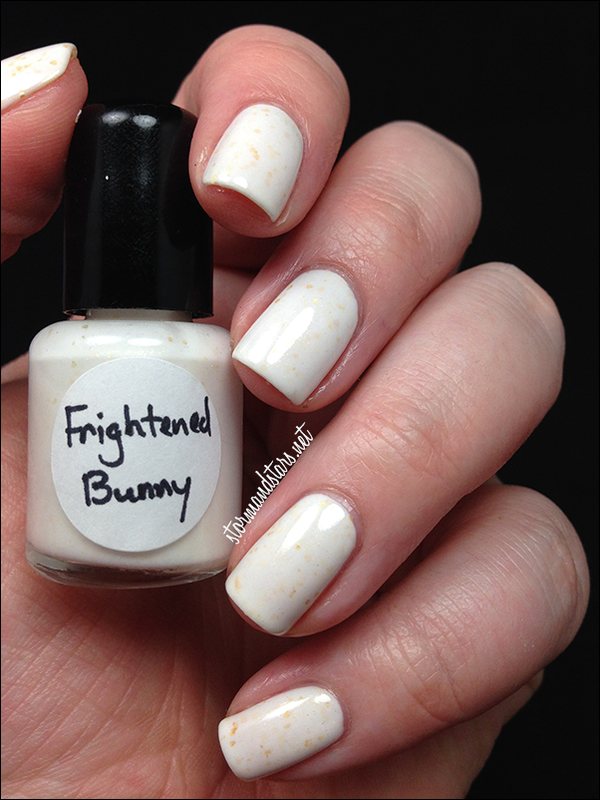 Frightened Bunny is a white lacquer with a splattering of pretty goldish flakies throughout. I love how soft this lacquer is. 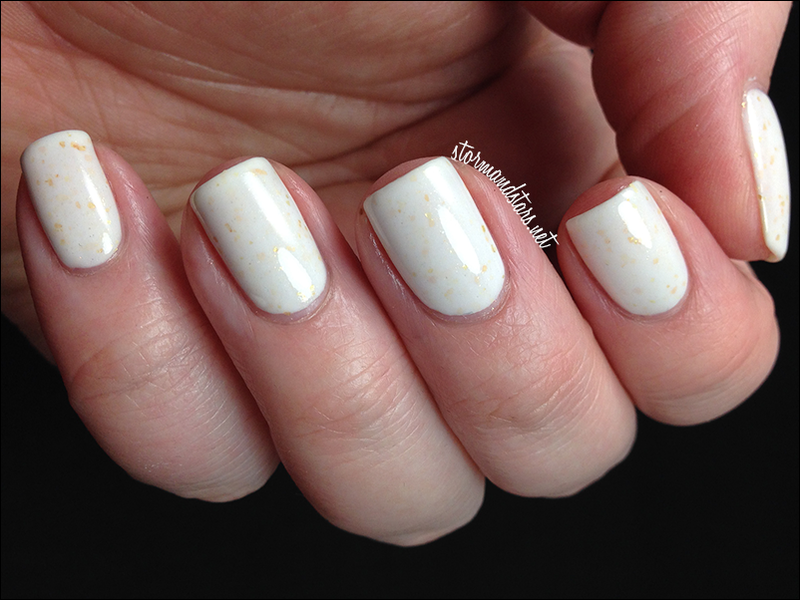 It is white without being stark and I think it really does make me think of a fluffy white bunny. 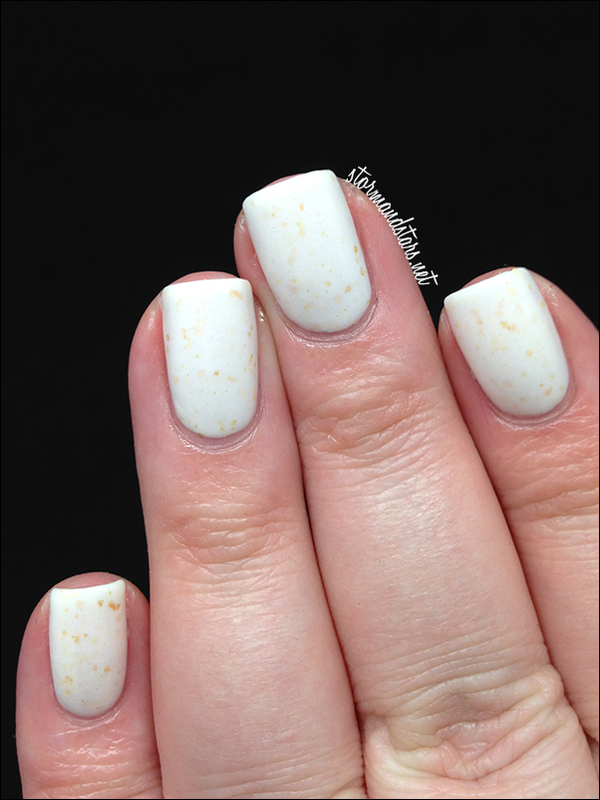 I'm a sucker for white lacquer and this is up there in my favorite whites for sure! 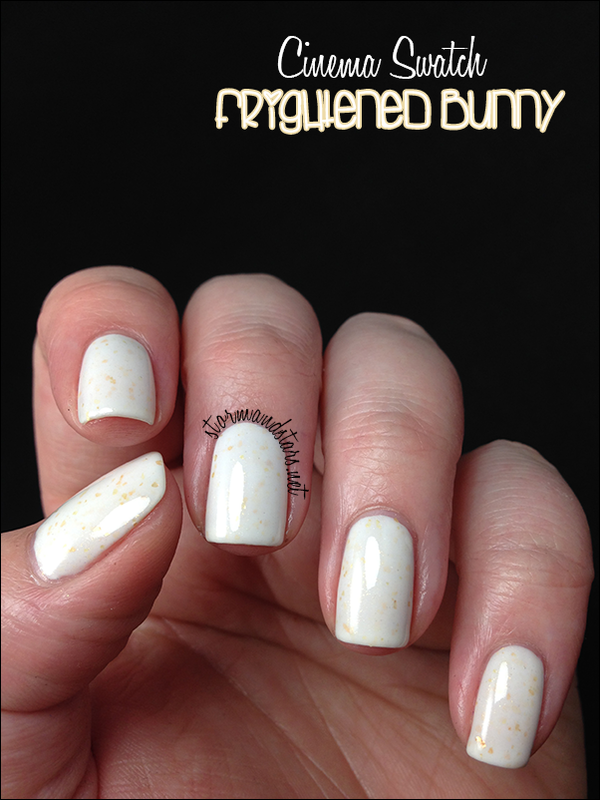 The other lacquer in this duo is Smouldering Temptress. 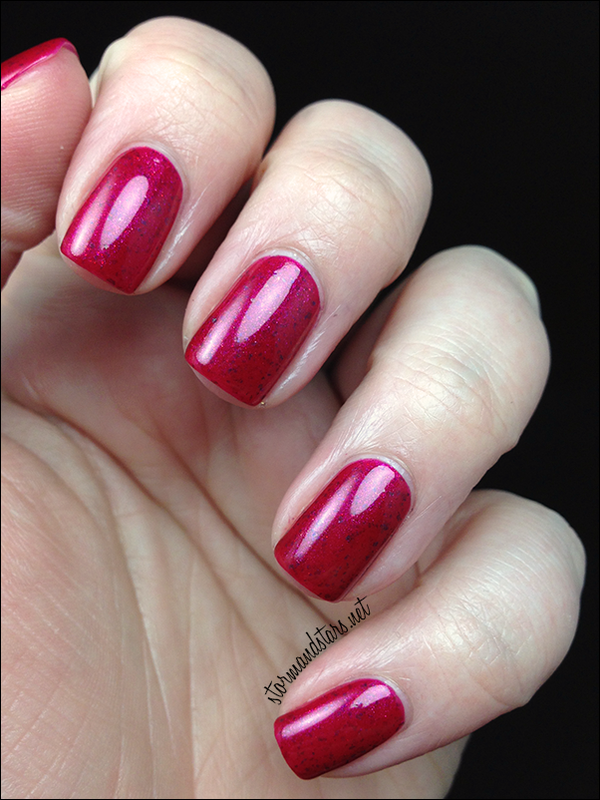 Smouldering Temptress is a deep red jelly with a strong hot pink shimmer and some darker red flakies throughout. 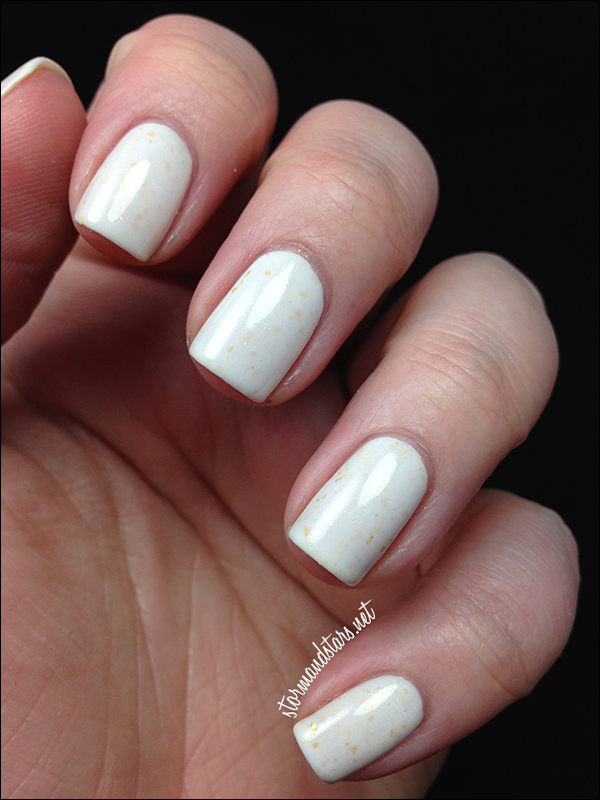 I used three coats for these swatches along with topcoat for the perfect mani! Once again, I did find this a little thick, so I added a few drops of thinner, however, I find that this is a general problem with minis and not this brand. The formula was perfect after I added the thinner. This definitely makes me think of a Smouldering Temptress! I love this duo so much I even considered buying a second set for myself, but I thought I would leave them so more people would have a chance to own these gorgeous lacquers! 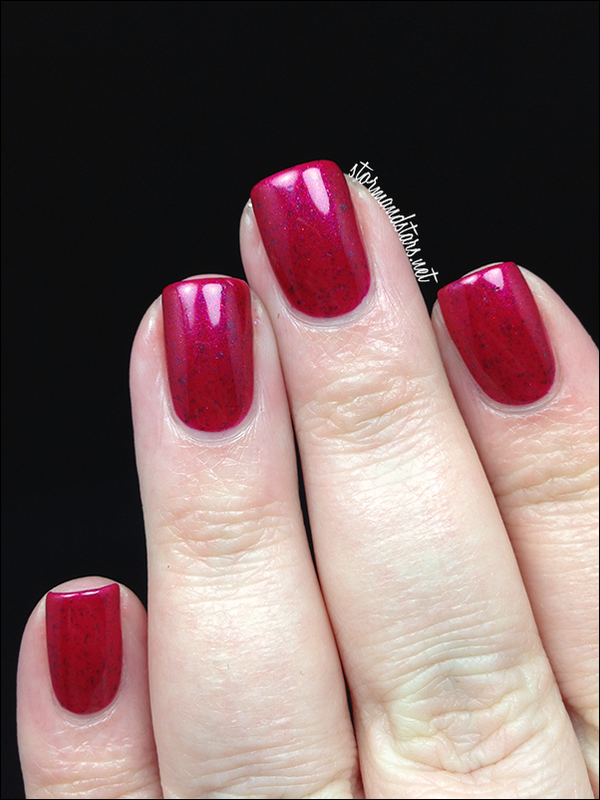 You can purchase the Satine Duo in the Cinema Swatch Shop for $6.50 for the set. Go now! Hurry!!! You can follow Cinema Swatch on Facebook and Instagram for more info, swatches and news about the brand and new collections.